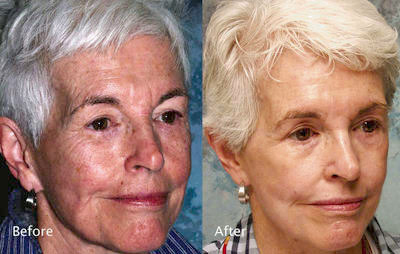 TCA peels are one of the best, most effective non-prescription skin peels and skin care treatments. Using TCA (Trichloroacetic Acid) to penetrate and remove the very superficial layers of the skin. This facial peel is designed to reduce the appearance of adult acne blemishes, wrinkles, sun damaged skin, and to remove pre-cancerous skin growths or to soften acne facial scars. TCA concentrations vary and are selected based on your individual skin condition. A TCA peel is an excellent way to achieve dramatic improvements of epidermal renewal, increase skin tone and reduce superficial lines. 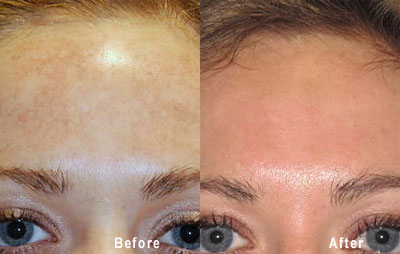 For more advanced sun damage, we offer the Obagi Blue Peel. Typically administered as a facial peel, a chemical peel enhances and smoothes the texture of the skin. 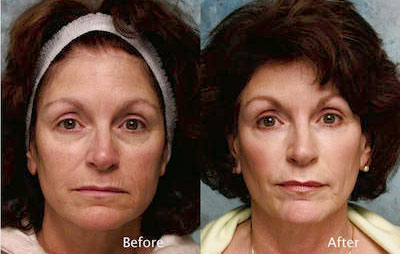 Chemical peels accelerate the turnover of skin cells stimulated by the peeling agent in TCA. The depth of the peel will be determined by the number of layers in your treatment. The skin responds with shedding, promoting new cell growth a new formation of natural collagen. The rapid turnover of cells also has the benefit of moving pigment to the surface and shedding it, thus eliminating brown pigment. Once the TCA peel treatment is completed, you can expect to shed the dead, outer layer of skin for approximately three days. Your skin may peel more than once. After received your chemical peel you may resume your normal activities immediately. However, you will want to avoid sweating after you start to peel. Most importantly sunlight should be avoided at all times for the first 3-4 days. Additional post care will be provided.